Rianna Nurse, a government communications apprentice, talks about her time with the BEIS digital team. 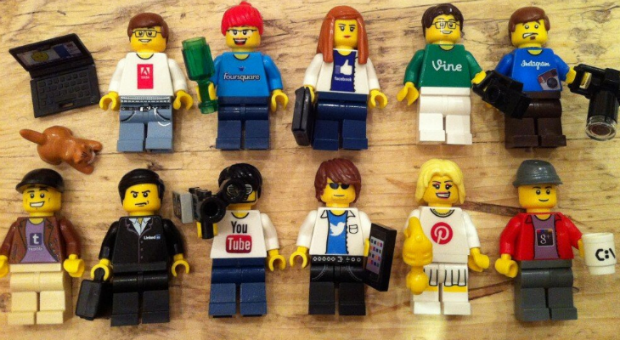 Lego figures - an essential tool for any brainstorm (image courtesy of Jeremy Waite). Having being born in the 90’s – digital is supposed to be my A, B, C, but while I am comfortable in using different digital channels, having to communicate important government policy on social media takes a lot of thought and preparation. During my time in the digital team, I have been involved in lots of priority campaigns and projects. One of the first campaigns I worked on was for the Queens Awards for Enterprise. This is a programme for British businesses where they can get an award from Her Majesty for excelling at international trade, innovation or sustainable development. I was able to to film the winners outside Buckingham Palace as well as design infographic templates for use on social media. I also created an animation to remind businesses to finish off their applications so that they could meet the deadline using After Effects. This involved thinking of a concept that would easily grab people’s attention, and communicating it in a clear and engaging way. The animation was shared on the Queen's Awards twitter account (@TheQueensAwards). I also worked in creating content for the launch of the Clean Growth Strategy. This strategy fed into the department’s overall Industrial Strategy and explains how the UK is a world leader in reducing emissions and how the UK is meeting its climate change commitments. 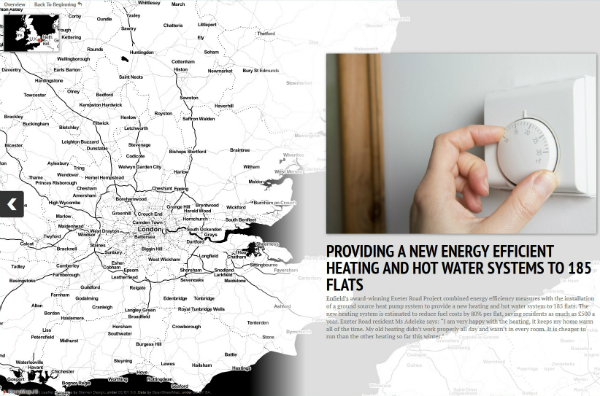 It was important that I worked closely with policy colleagues to understand the strategy so I can create an animation as well as an interactive map that showed case studies of businesses that were being innovative with the way they use energy. In the weeks running up to the launch I attended and participated in many brainstorming sessions where we let the creative juices run freely, thinking of ideas to best engage audiences about Clean Growth and Industrial Strategy. This often involved using Lego and lots of colourful Post-It –notes to visualise our ideas. These sessions were particularly useful as everyone in the team brought different ideas to the table which were then used to create really engaging content. I was also able to give audience insight on younger people (as one myself! ), which helped when deciding what content would be effective or not. The Clean Growth map showcases innovative businesses. I have not only learned how to create effective content but also how to evaluate content so that I can see what impact it has had on the whole campaign. It also helped me and the team to what didn’t work and learn from it. For example, I found that some infographics for the Queens Awards didn’t perform well compared to simpler case study videos. This was because our audience could relate to the person in the case study which made them want to carry on watching the video. The experiences that I have picked up in the digital team will be useful in my career as I would like to specialise in digital marketing. I would like to thank all my colleagues for being so supportive in helping me develop my digital capabilities.